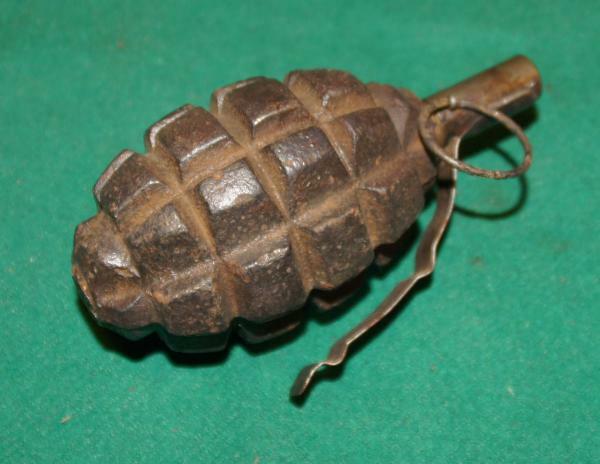 Russian ww2 F1 grenade with Kolesh fuze. INERT. 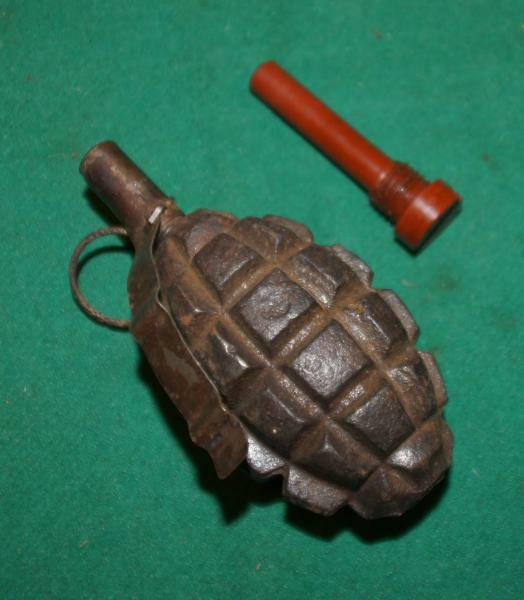 Early Russian ww2 F1 grenade with Koleshnikow fuze + plug. INERT. 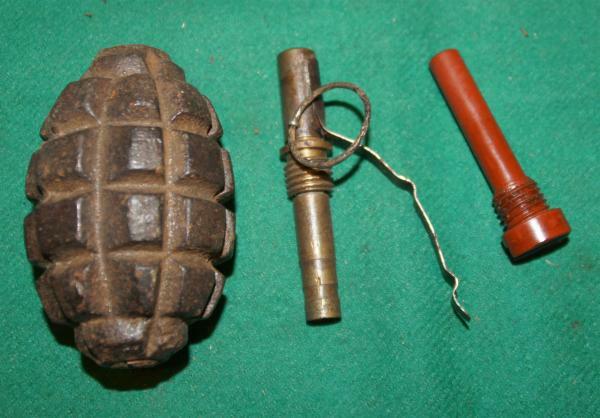 Early body type with steal plug on the bottom. Shipping worldwide by UPS Ground - 2-5 weeks. 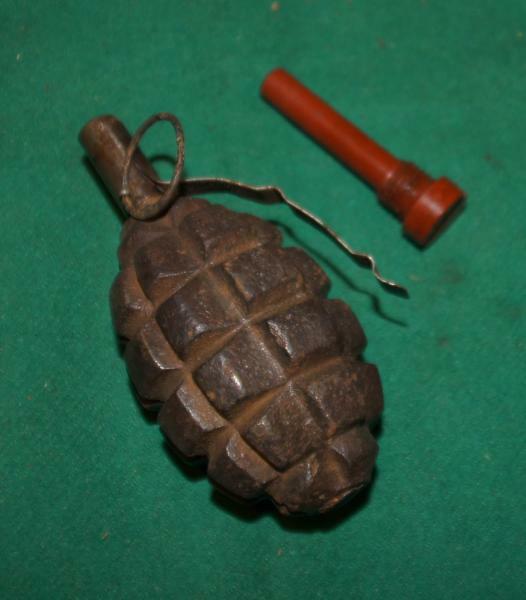 I'm not responsible for any confiscated by your country customs service - no refund money. Refund money - only if the item will be lost by Postal Service. If you have any question please feel free to asking me. Bidders please contact me for postage costs. 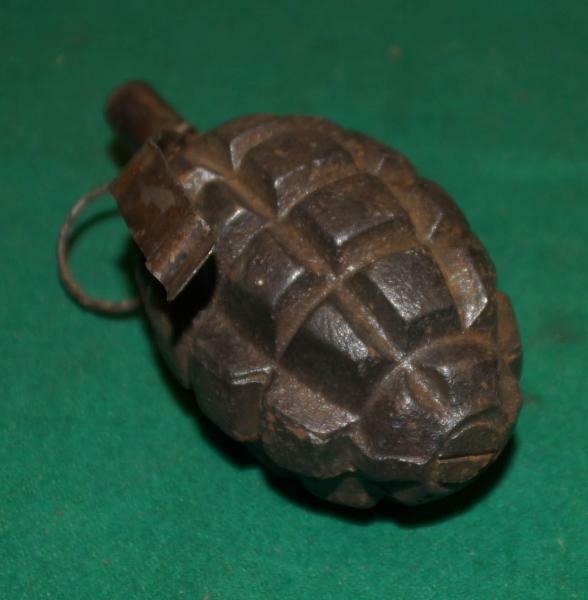 German ww1 M17 egg grenade with friction fuze. INERT. 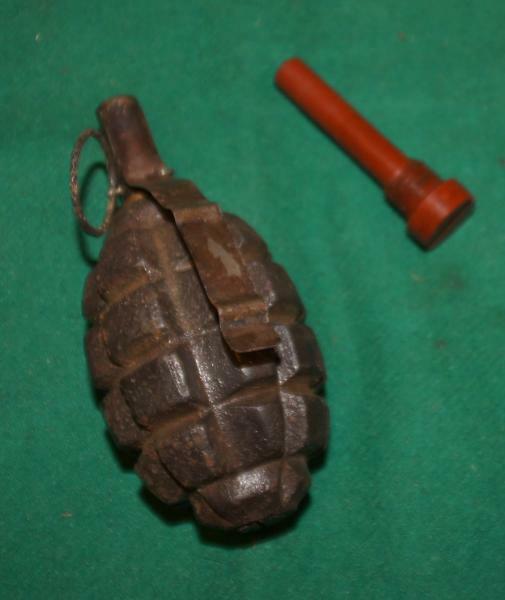 Russian ww2 POMZ mine with ignition fuze. INERT.